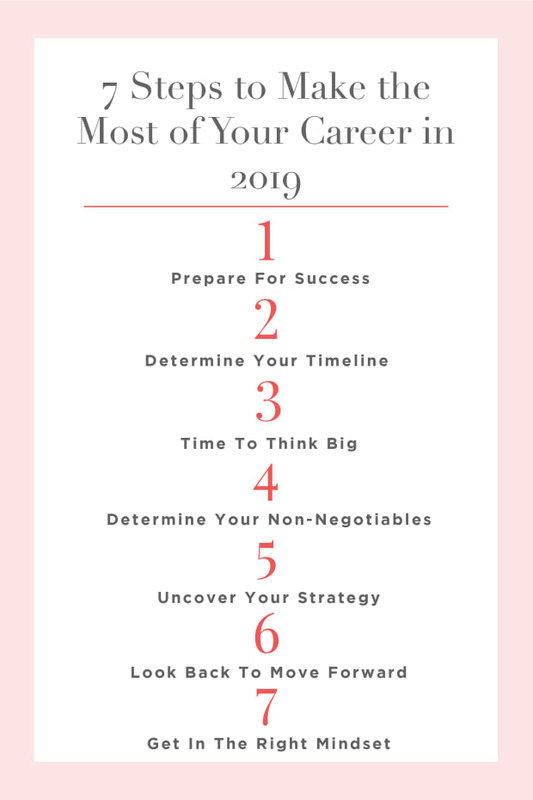 Career advice basically consumes my every waking thought, which is probably a surprise to no one as I run a career site for women. But what may surprise people is that my number one piece of career advice has nothing to do with resumes or LinkedIn profiles. It’s pretty obvious that our careers have a huge impact on our finances, but your finances also have a huge affect on your career. Being financially stable gives you more options in your career and allows you to have a solid foundation to make choices from. That stability can make a huge difference if you need to leave a job you hate, take a career risk, or if you want to start your own business. Alright this part is not going to be fun. But just like when you go to the dentist, you are going to feel way better when it’s done. It’s time to gather all of your financial data in one place. This means taking stock of your debt, loans, retirement savings, general savings, and long-term payments such as a car or mortgage. That way you know exactly how much money you owe, how much you’ve saved, and what your overall net-worth is. For a refresher on all things money (like the differences between a 401(k)) and IRA, download our free e-guide that will help get in touch with your financial self or take a look back at this post. 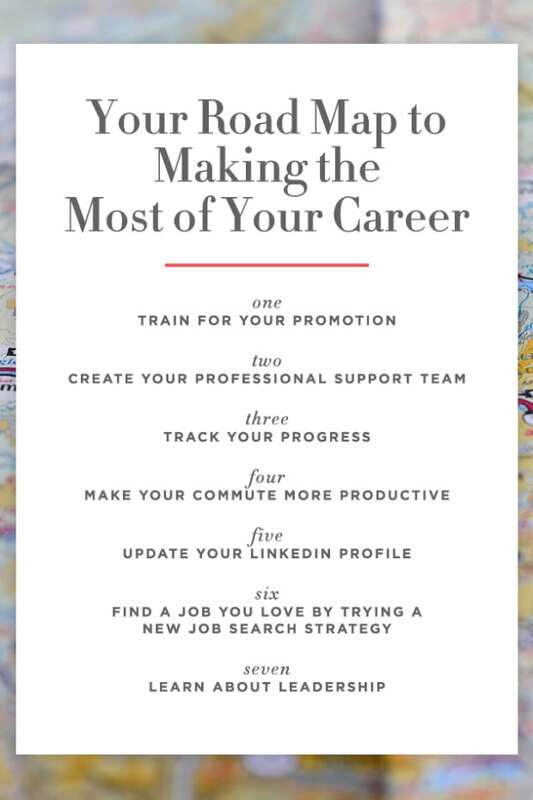 Career Connection: It can be really scary to fully acknowledge how much debt you have, but being aware of that can give you a realistic look at what your career options are. Do you need to find a higher paying job so you can pay down credit card bills before the interest gets out of control? Or can you afford to quit when your manager snubs you for a promotion again? Now that you’ve had time to look over all of your finances, take a deep breath. I’m kidding! It’s all going to be fine. Now comes the fun part—making a plan! You likely already have a monthly budget for your living expenses, but it’s important to have a budget of sorts for your savings goals. 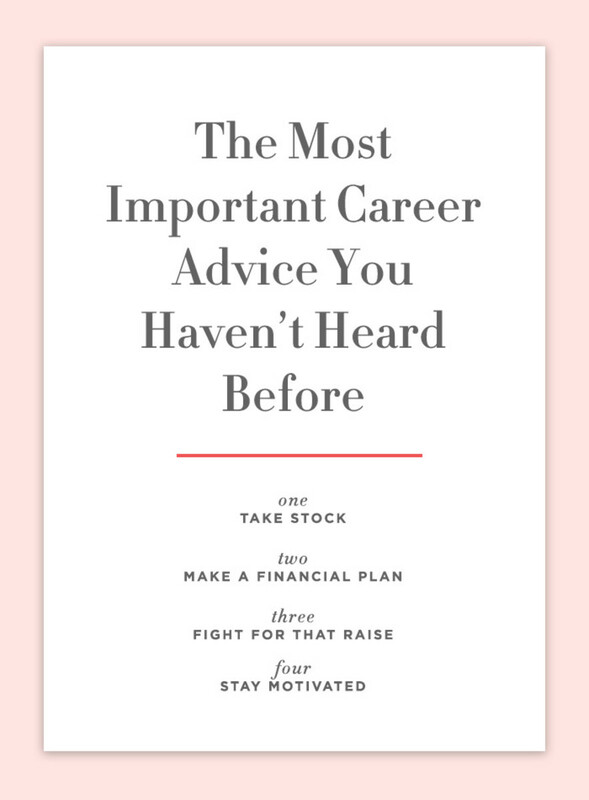 To make this step way easier, I recommend using Ellevest’s free financial planner. You enter in all your financial info, age, income, etc. and then what your financial goals are. A few seconds later you’ll be given a custom financial plan that tells you exactly how much you should contribute to each goal every month based off your current salary and savings. They even tell you how many years you should save for each goal. The assessment only takes a few minutes and will save you a major headache trying to create a savings budget. And after you’ve got your savings under control, you can “graduate” to investing your money. That way your money grows way faster and you’ll have even more financial resources at your disposal. Career Connection: Dream of ditching your boring job and taking a career risk? Having some solid retirement savings and investing your money early on will make any leap easier. Now&apos;s as good a time as any to re-evaluate your salary. Are you being paid what you deserve? Can you cover your living expenses without feeling like you’re barely scraping by? If you think you’re being underpaid and deserve a raise, don’t be afraid to speak up and ask for a raise. Here&apos;s a script that will help you make a very convincing argument. 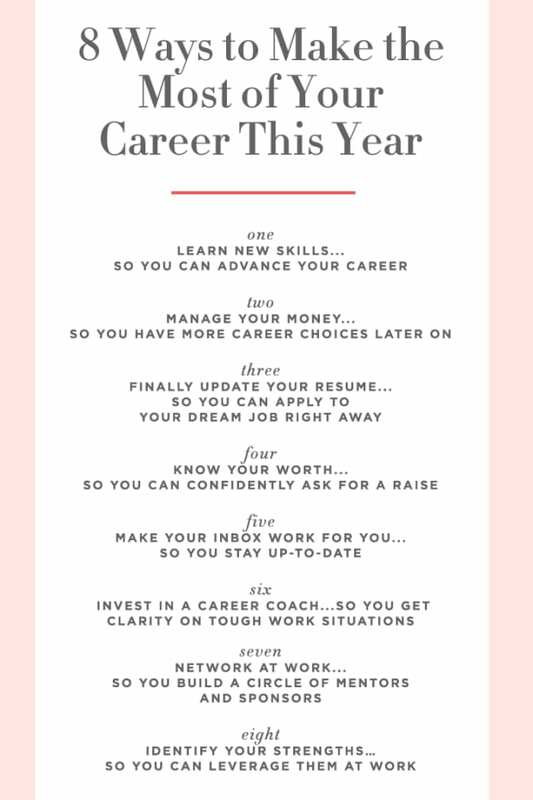 Career Connection: Obviously getting a raise is always a good move as that means your career stock has risen. But it also means you’ll be able to afford to save more, giving you more options if you want to stay at your current job. Keeping up with your finances is hard—those unopened quarterly 401(k) statements pile up on your desk pretty quickly. And of course savings goals can always be tricky to meet. Think of how fast your closet gets messy after a big clean-out! Make sure you’re keeping up with your new budget, payment plans, and goals by staying motivated. Make a habit of doing a quick review of your spending and goal progress at the end of every month. And make a financial date with yourself once a quarter to do a deeper dive. And make it a habit! January 1st is never a bad time to start this process over again. By then your salary, debt, investment, or goals could have changed quite a bit. Career Connection: Studies have shown that employees who are stressed about their finances are less productive at work. The more you stay on top of your finances, the less stressed you’ll feel. And you’ll be a better employee. That’s a win for your finances, career, and health! 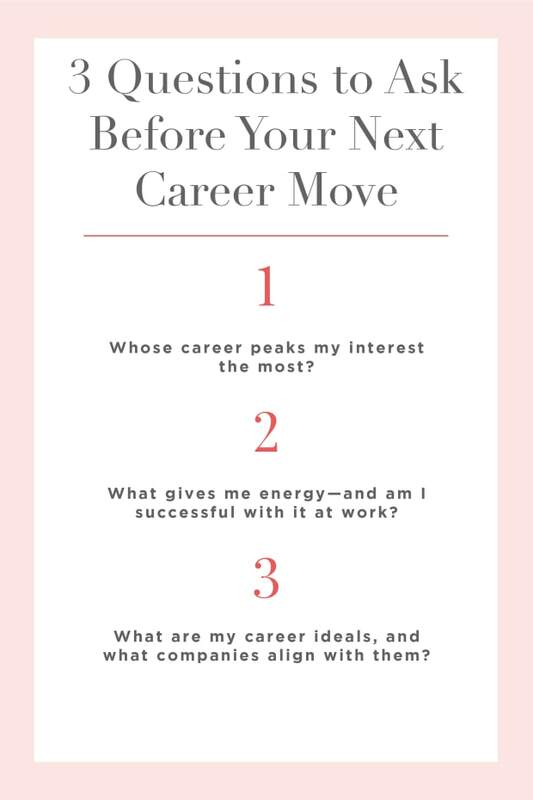 P.S., Have a career question for Lauren? Post them here or on social media with the hashtag #cupcakescareers and Lauren will pick the top questions to answer in her post next month!